Benjamin Mendy was handed a starting role for Manchester City’s FA Cup semi-final against Brighton and Hove Albion at Wembley, although Pep Guardiola opted not to risk Sergio Aguero. 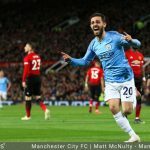 Mendy last featured in City’s first XI for the 3-1 derby win over Manchester United in November, after which the France left-back was forced to undergo knee surgery for the second time in as many seasons. A comeback from the bench against Burton Albion in the EFL Cup in January brought an adverse reaction and the former Monaco star did not make the matchday 18 for Wednesday’s 2-0 Premier League win over Cardiff City, where a hamstring injury to Oleksandr Zinchenko ultimately paved the way for Mendy’s return. Aguero sat out the Cardiff match after he made way before the hour in City’s victory at Fulham last weekend. Guardiola said his top scorer was “almost fit” on Friday but, with Tuesday’s Champions League quarter-final at Tottenham on the horizon, Aguero was not among the substitutes as Gabriel Jesus led City’s attack. Brighton were without Solly March due to a calf problem, while Jurgen Locadia made the bench after recovering from a similar complaint.